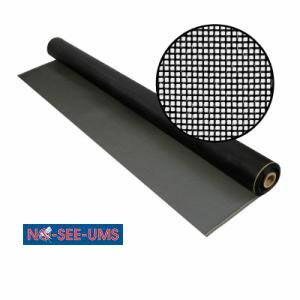 This vinyl coated fiberglass insect screen is a tightly woven mesh designed to control tiny insects. No-See-Um screen provides air ventilation and some daytime privacy while maintaining visibility. We carry only Phifer Wire Products, No-See-Um. Ask for it by name. Phifer is the world leader in fiberglass, aluminum and extruded vinyl coated polyester screening. Ideal for use in patios, porches, pool enclosures, windows and doors.